CURT hitch adapters can be used for many different purposes when hitching up a trailer. Whether a ball mount shank is too small or too large to fit into a receiver tube, a CURT adapter can make up the difference. Our adapters are built with exceptional strength and designed to be precisely fitted for their application. It offers a gross trailer weight capacity of 4,500 Pound and a tongue weight capacity of 450 Pound, and when combined with a weight distribution hitch, it offers 6,000 Pound GTW and 600 Pound TW. It also has the option to be cut down from its 34 Inch length to 24 Inch, increasing its weight carrying capacity to 6,000 Pound and its tongue weight to 600 Pound. 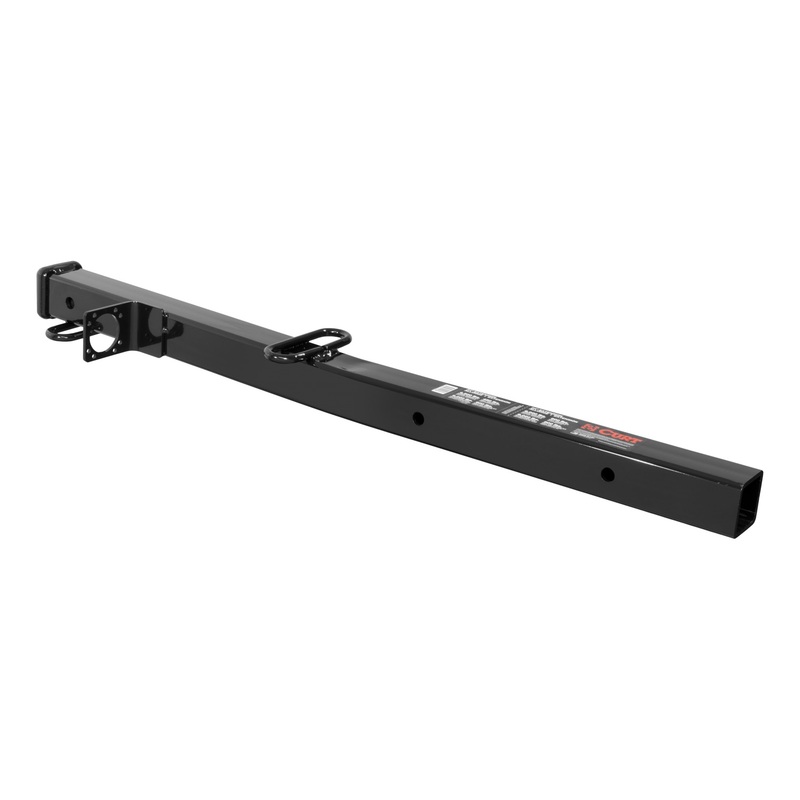 When combined with a weight distribution hitch, the 24 Inch length maxes out at 8,000 Pound GTW and 800 Pound TW.